With the Fifties Dresses quilt now ready to have its binding sewn on I've started two quilts for two young boys who are enthusiastic BMX racers. 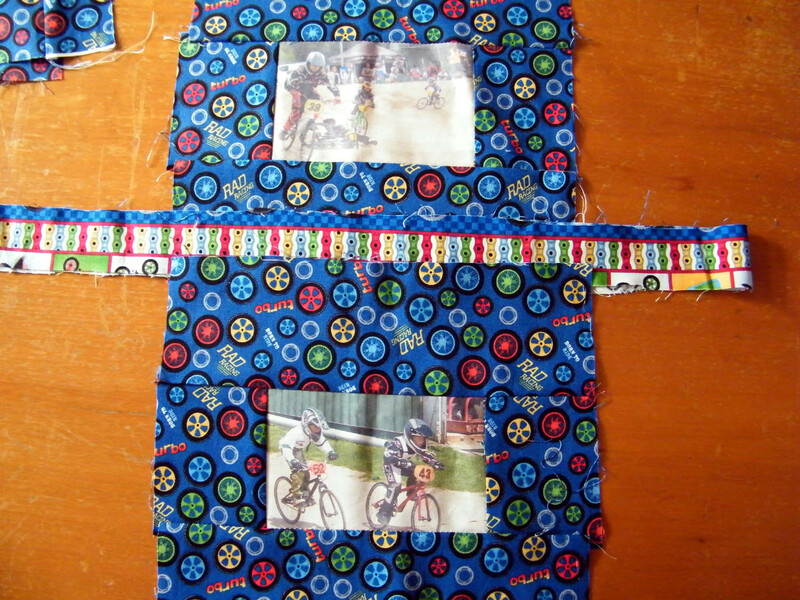 Here are the first few blocks waiting to be trimmed into 9" squares. 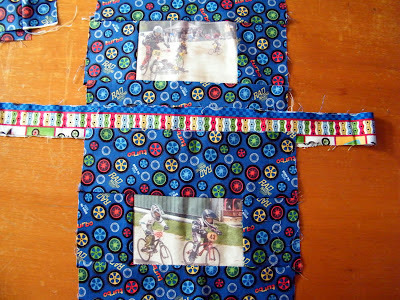 There also is a narrow strip of bike chains which I will use as sashing and two photo prints showing their racing numbers on shields to be incorporated into the quilt somewhere. 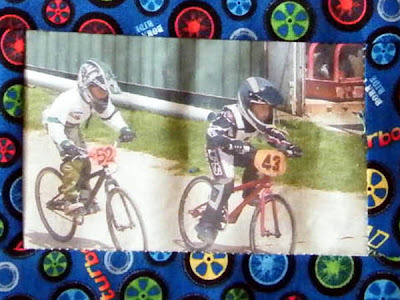 I would also like to include photos of the boys - I've have had my first try at photo printing on fabric and am using purchased prepared fabric. But I don't know that I'm completely satisfied with the quality of the prints. I used a HP C5280 printer and the normal colour ink cartridges. I've been reading an article which mentions using Vivera ink and another that mentions Archival inks. If anyone has any advice or useful links they would me most welcome. Actually this photo fascinates me as at first glance it looks as though the front bike is about to ride right out of the picture. So now I'm tempted to juggle that lower piece of fabric to match up the curve of the photo wheel with the fabric wheel to improve the illusion ! some great ideas there! 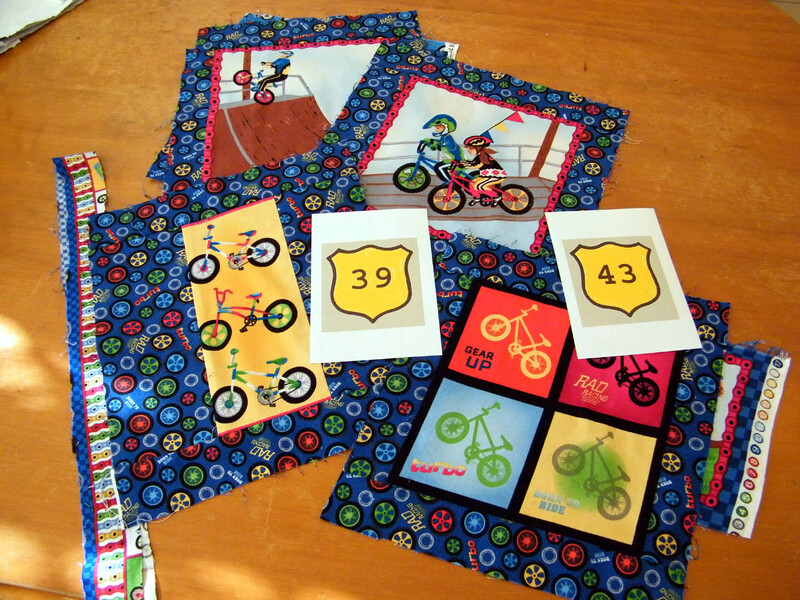 They are going to be great quilts. Can't help with the printing on fabric I'm afraid. The quality looks pretty good though on the one you have shown close up.